Scott Piper, assistant professor of voice, received a BM in voice performance from Truman State University in 1993 and an MM (1995) and DMA (2012) in voice performance from the University of Michigan. 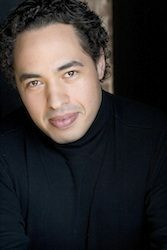 He started his professional career at Madison Opera in 1999 in a much-acclaimed production of Verdi’s La Traviata. Since that time, he has appeared with Houston Grand Opera, Dayton Opera, Madison Opera, Minnesota Opera, Opera Pacific, Lyric Opera of Kansas City, Michigan Opera Theater, New York City Opera, the International Music Festival of Macau, Vancouver Opera, Compañia Lírica Nacional de Costa Rica, the New People’s Theater of Moscow (Russia), and the Anna Livia International Opera Festival in Dublin, Ireland. In Italy, he has appeared in Rome, Catanzaro, Modena, Ravenna, and at Teatro di Verdi in Busseto. As a concert soloist, Piper has appeared with many American orchestras and sang the North American premiere of Perosi’s oratorio La Rissurezione di Christo with the Friends of Opera at U-M. He has received awards from the University of Michigan Friends of Opera, the National Society of Arts and Letters, the William C. Byrd Foundation, the Gerda Lissner Foundation, the Ken Boxley Foundation, the Licia Albanese-Puccini Competition, and the George London Foundation; he also received the Jim and Janice Botsford Study Grant.